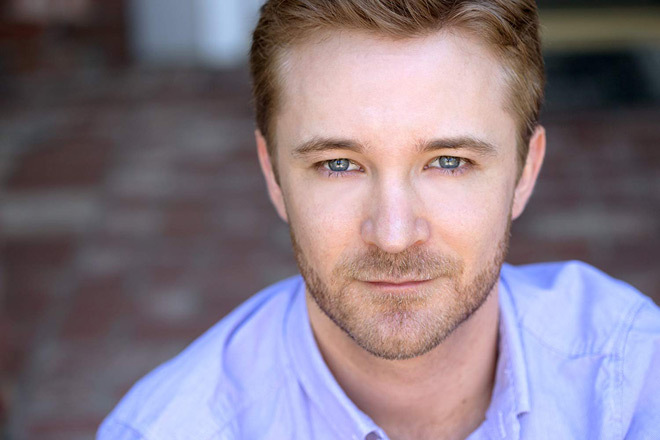 A veteran actor, in over two decades of work, Michael Welch has nearly 100 film and television credits to his name. 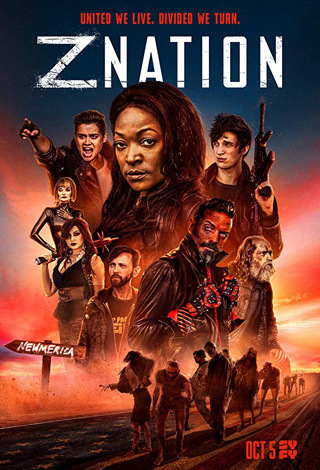 Known for roles in the popular Syfy series Z Nation, as well as on the Emmy-nominated CBS show, Joan of Arcadia, he also starred in the blockbuster Twilight film franchise, as well as 1998’s Star Trek: Insurrection. Impressive credits that are extensive, Welch, still quite young at 31 years of age, seems to have his best years in the business ahead of him. Still very engaged and passionate about his work, he recently took the time to chat about his years of acting, starring in the new Horror flick The Final Wish working alongside Lin Shaye, future projects, plus much more. 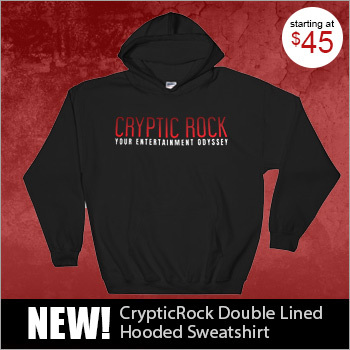 Cryptic Rock – You have been involved in film and television since you were a young kid. Doing quite a few feature films and television series, briefly tell us what inspired you to pursue a career in acting? 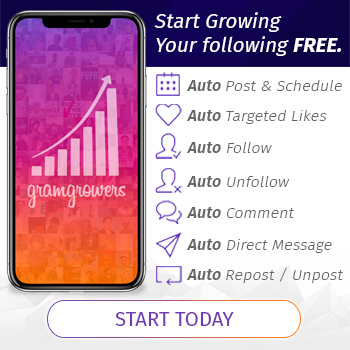 Michael Welch – Well, I started when I was so young. At that time, from the perspective of a precocious 10 year old, I just really liked the form. I loved doing impressions, I loved to play, any old video footage of me as a kid really was just me reciting whatever the last thing I saw on TV. I always had it in me on some level I guess. Once I got on sets, and started navigating my way through the industry, it became more about developing my craft, technique, as well as working a collaborative process with other creative people. It certainly evolves over time, but the initial impetus for it was I really just enjoyed performing. I was very lucky that I had the opportunity to do it professionally. Cryptic Rock – Interesting. As mentioned, you began very young, going on from there. Many times those who act professionally as children, do not do it as adults because they decide it is not something they want to do. One can assume the passion continued to grow for you? Michael Welch – No question, I’m in love with acting now than I’ve ever been, possibly more so. First of all, my parents were very strategic with me from a young age, making sure I had a good balance in life. They took care of a lot of the things that weren’t fun, so I could focus on what was fun about it. I think that really helped grow my love for the whole thing through my childhood and teenage years. Moving into adult years, at a certain point, you pass a certain threshold and you go, “Okay, I’m in too deep. This is what I do and this is what I am.” I have a hard time imagining doing anything else with my life. At this point in my life, I am 21 years in, and quite frankly, have developed no other skills. (Laughs) Now, it’s totally out of necessity, but I still love it and have a passion for it. When I feel myself drifting away from it a little bit, I have to take a break, or take action to do whatever I need to do to keep things interesting and keep the passion alive. Cryptic Rock – Yes, and that need to keep things interesting goes for anything in life. Of your many credits, you have worked in many genres. That in mind, you have worked within the Horror and Sci-Fi genre a lot. Are these two genres you enjoy being a part of? Michael Welch – I do very much! It wasn’t necessarily by choice. I don’t know how many acting careers are calculated, at least up to a certain point. You go where the opportunities present themselves. I enjoy it a lot because I really like the fish out of water element of genre work. The idea of representing a normal everyday guy going through a particularly crazy set of circumstances. It activates my imagination and it is fun to delve into those things. For example, with The Final Wish, it starts out as a very grounded character who is going through something very specific. He went through a very particular set of life circumstances which have brought him to where he is. It starts from a very real place, and as it progresses, he is experiencing a lot of crazy stuff. I have always been drawn to characters who are grounded in an empathetic reality that people can reality to and understand who then go through these really wacky journeys. It has to start from a real place though. Cryptic Rock – Absolutely. With The Final Wish, you are the main character. You start as a normal guy who loses this father, then things take off from there. How did the part come about for you? Michael Welch – Initially James Cullen Bressack, who is a producer on the film, reached out to me personally with a phone call. He said he had a project lined up and he thought I would be right for it. He got me in touch with the director, Timothy Woodward Jr., who let me know Lin Shaye and Melissa Bolona were involved. The film had a lot working for it for me right from the start. Then Tim sent over the script, and again, I was really drawn to the character and his journey. It seemed like a fun experience to go through. As it went along, we ended up getting Tony Todd and Spencer Locke on board. It’s a really interesting story and it managed to get a lot of really strong actors to tell it. I am very happy with how it came out, I think it’s great. Cryptic Rock – It is an interesting story. You work along side a really great group of talented actors and actresses, including Lin Shaye – who actually plays your mother in the film. What was it like working opposite Lin? Michael Welch – Lin is such a powerhouse, she brings so much to her work, it really elevates the quality of work all around the set. Not just with the actors, but I feel as if someone like her makes everyone elevate their game. I think at the heart of this movie there is the mother and son relationship which has a very complicated dynamic. This is a guy who essentially abandoned his family. Perhaps in his own mind he was doing it for the right reasons, but due these circumstances, he is forced to come back and face what he did. There is a lot to work through there. Again, I think it is something people can relate to. Home and family are very complicated to people. Perhaps this guy isn’t all that likable at first, but I think you understand where he is coming from. You understand the issues he is having with coming back home as a failure, at least perceived in his own mind. There is a lot going on. It’s very layered, colorful, and Lin just brought so much to the table. Quite frankly, on a personal note, Lin looks so much like my grandmother used to when she was younger. It really helped rack up the guilt for me when I was on set with her. In fact, so often, I would be looking at her and seeing my own grandma, and the way Lin was talking with me, just made me feel awful. (Laughs) I think our dynamic was very real and it was incredible to work with her. 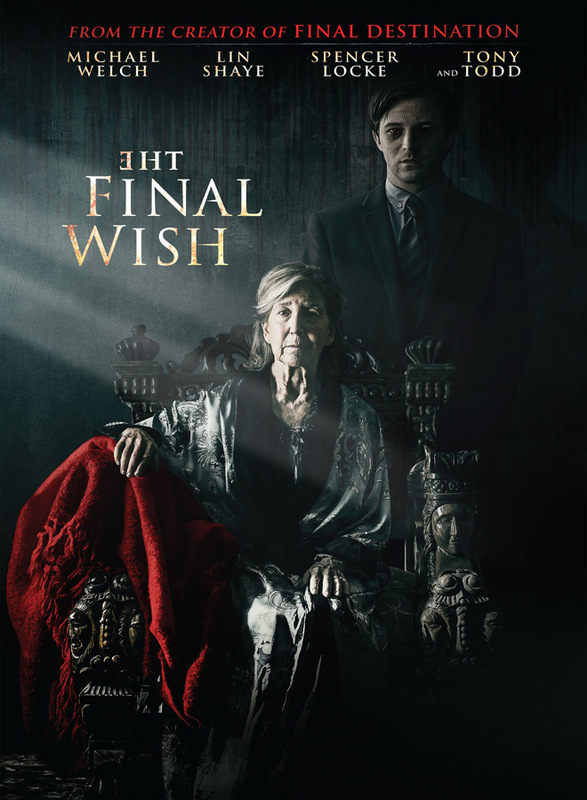 Michael Welch in The Final Wish. Cryptic Rock – It works wonderfully on screen. The urn and the wishes granted are a focal point in the film later on. When we think of making wishes, we think of wishing for good things, but we don’t often think about the negative things that may happen. Did it make you think, what if I had the opportunity to make wishes like this? Michael Welch – Oh yea, no question. I think it’s very rarely considered what the ramifications are when something that’s happening is perceived positive…but where is the balance? What is the ripple effect? How does that affect other things in life potentially in a negative way? I think it’s culturally relevant for us, specifically right now. We live in a society where people covet other people’s success or what they think their lives are, wishing they had that, not really understanding the other side of the coin. Not understanding the sacrifices it took or what the reality of what that particular life are. I think that is part the reason why people are drawn to stories like this. I feel like wishing is something we do a lot of. 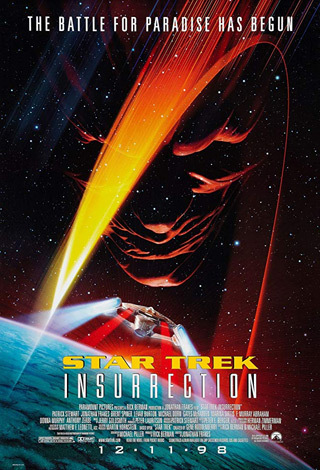 This film explores the idea, “Okay, that’s fine, you can have your wishes come true, but what are the real ramifications of that?” I think it’s a cool thing to explore. Cryptic Rock – It is a very compelling idea to explore. Your character was a little more self-adsorbed at the beginning, but in the end, when faced to make the right decision to help others, makes the right decision. Michael Welch – Absolutely. That’s another thing I was drawn to about the character. I loved the journey of someone who goes from a place of selfishness to selflessness. That takes a lot of courage and growth. Quite frankly, I don’t know how often that happens in real life, so it’s at least fun to watch it happen in movies. Cryptic Rock – Yes! It will be exciting to see people’s reactions once the film gets a broader release. Michael Welch – Yes, Fathom Events released it as a one-night only screening on January 24th. Based on how it did is going to determine what the future of the film is going to be. Hopefully, if it did well enough, they will extend it and we will get a wider release. We will have to wait and see! Cryptic Rock – Hopefully the reception is strong enough for bigger things. 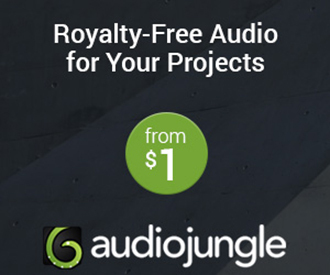 Beyond The Final Wish, you have other projects you are working on. What can you tell us about some other things you have coming up? Michael Welch – I worked on a couple of other films last year, and the titles may change on any of these. These are all the working titles right now, but one is called Soldier’s Heart, which was my first time getting to do a Western. I did another film called The Detective, so hopefully both of those will be out this year. Another film I worked on with James Bressack, was initially entitled Together, but the distributor changed it to Blood Craft, will get a release this year. I also just worked on an episode of ABC’s Station 19 and I recently start a new film. I also have another film coming up in March too. It’s been really strong start to the year for me. I’m very grateful and excited. Cryptic Rock – Very cool. Speaking of television, you have done one-offs as well as recurring roles. What is it like working in television opposed to a feature film? Michael Welch – Working in television as a series regular or reoccurring role is probably my favorite thing to do. It really gives you time to delve into a character and go on a journey in a more long form way. The differences are really stark though. In TV, they have to produce so much content. It moves really fast and they do a lot of pages every day, it’s just a machine. They are a well-oiled machine. Your job as a guess star is to do your thing, know your lines, and bring it as much as you can. There certainly is not as much time as you get with a feature film to really kind of delve in and explore certain things. For me, I love working and I love telling good stories through the lens of different characters. It’s always exciting for me, no matter what the situation is. They are all different working experiences. To be honest, my favorite thing to do is theater. That’s a whole different experience. That’s going on a full journey as a character for 1-2 hours after rehearsing for 2 months straight. That’s really when you get a chance to let a character sink into your bones. With one-off things, there is so much happening in your mind to make sure you are telling the story properly. It’s all good though. Cryptic Rock – Right, and it presents you with different challenges. Last question. What are some of your favorite Horror and Sci-Fi films? 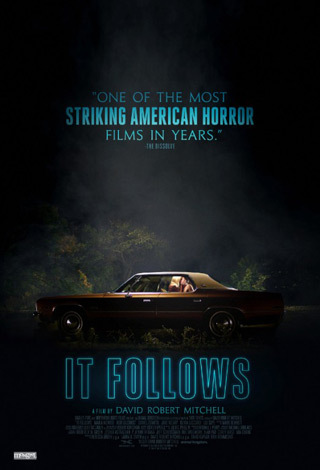 Michael Welch – Recently, I’ve really been enjoying what’s been happening in the Horror genre. 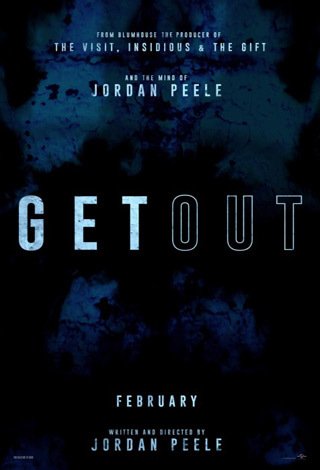 I think these movies in recent years such as Get Out (2017), The Babadook (2014), and It Follows (2014) really elevate the genre. They explore all sorts of really big concepts through the prism of Horror filmmaking. Recently, I have really been enjoying Black Mirror. In the same vein, that’s a show that really explores the subtle differences of sicknesses in our society in very creative and innovative ways. I think there is a lot of good stuff happening.